Sometimes a quite remarkable Y-DNA Case Study comes along that I will try my best to get published in a Genealogical magazine. The latest one published in Family Tree Magazine details the Paterson Case Study and the full story can be read here. The Paterson study was interesting because it revealed a very ancient paternal ancestral link to Scotland, virtually all Mr Paterson's matches were to Scottish surnames, but particularly Scottish surnames associated with the land above the Firth of Forth and the Clyde estuary (the 'Highlands'). 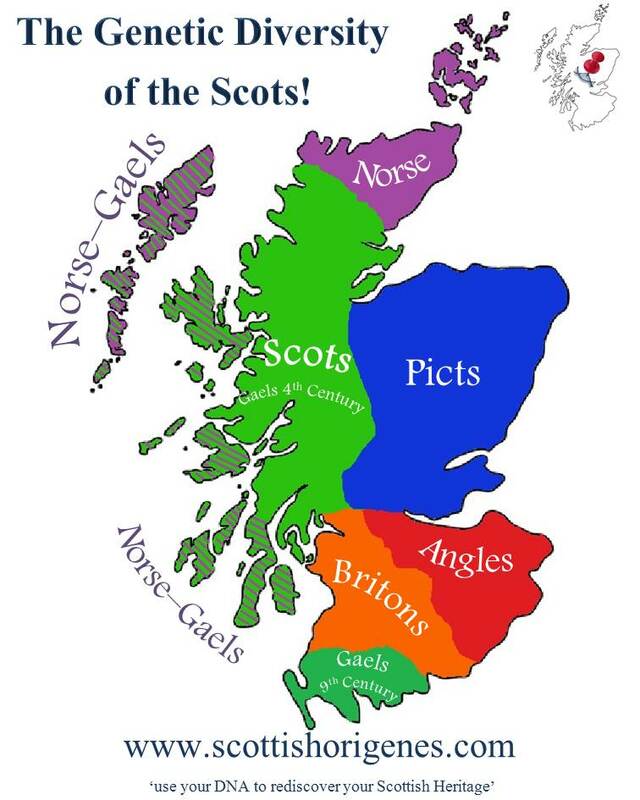 This indicates that Mr Patersons ancestors were some of the first people to inhabit Scotland and they may indeed have been the ancient Pictish people described by the Romans. Secondly, the DNA results revealed that the mythological origins of Clan Paterson on the northern shore of Lough Fyne are indeed quite true! Contact me here if you have had a commercial ancestral DNA test done and would like a FREE CONSULTATION. Contact me here if you want to find out how to use your DNA to reveal where your ancestors originate. What will your DNA reveal?? ?